In the summer months we don’t want to cook inside and warm up the house. We also really like to enjoy our summer nights outside. 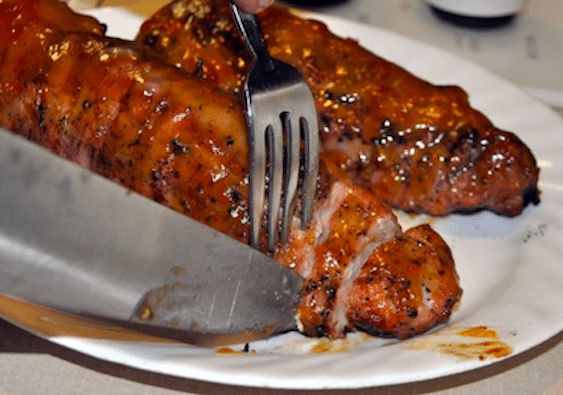 This quick fix dinner of grilled apricot tenderloin with Raging River rub is done in less than 30 minutes, and can be cooked over an open flame or in a grill pan. 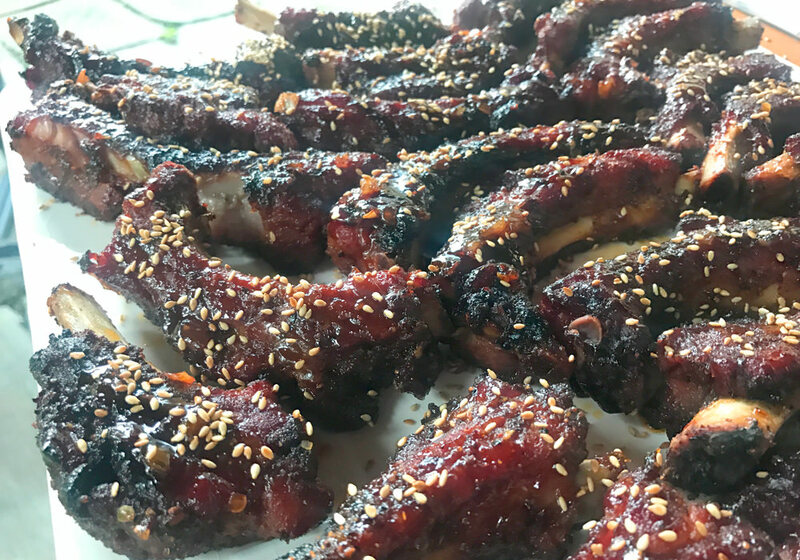 While mixing the apricot preserves, mustard and Raging River Rub from Dizzy Pig, you can adjust the flavor by adding more or less seasoning to cater to your own taste bud preferences . We always like to add a little bit more. 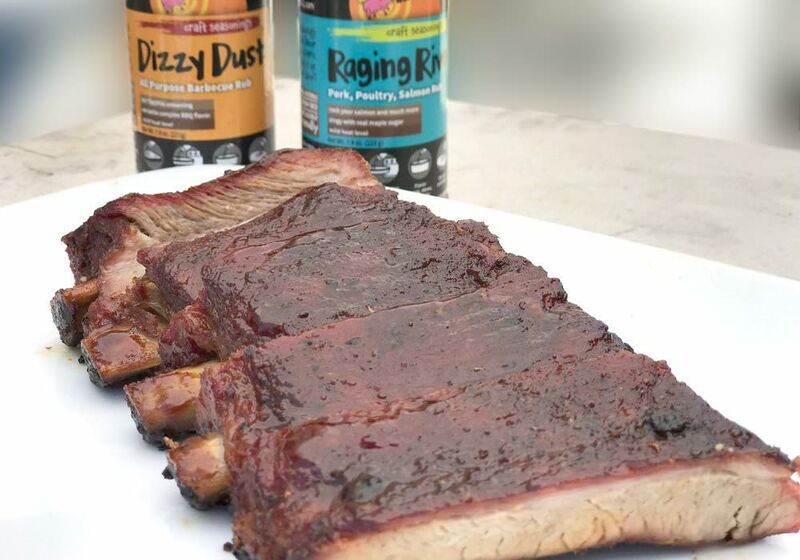 We love Dizzy Pig’s Raging River rub for its mild heat level and flavors of maple sugar, black and green peppercorns and an array of mouthwatering herbs. This rub offers a sweet heat balance most people look for in an every day rub. In a bowl, combine apricot preserves, mustard, and add Raging River rub to taste. Set up the grill for direct grilling, or heat grill pan on medium high. For this cook, we grill the tenderloin over direct heat of approximately 350-400°F. Turn every 2 minutes until evenly browned on all sides. The tenderloin is done when it reaches an internal temp of 140-145°F. 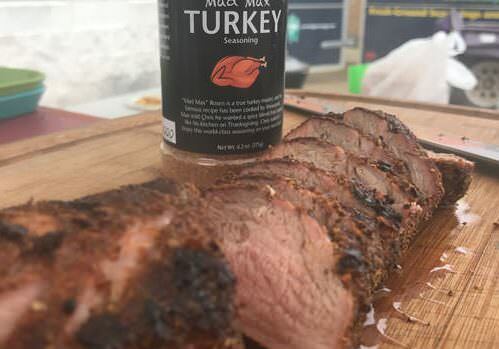 In the last minutes of grilling, coat tenderloin liberally with the sauce and close the grill cover for 1-2 minutes, or until the sauce caramelizes. Remove the tenderloin and let rest for 3 minutes.